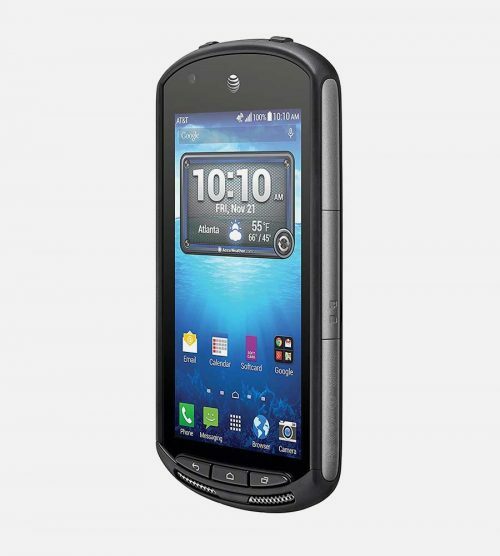 Mr Aberthon is delighted to announce Kyocera DuraForce to our collection of rugged unlocked cellphones. 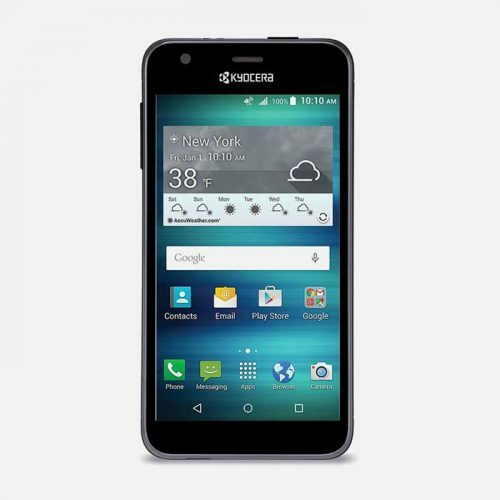 The Kyocera DuraForce is that rare smartphone of which we see so little. It’s a smartphone that not only looks good, but also complies with the MIL-810 military standard for all manner of things which make the device a darn site more durable than the average phone. Dustproof, waterproof to 1 meter for 30 minutes and resistant to rain, sand, humidity, vibration and thermal shock. In short, it’s a phone which is up to not just the rigors of your life, but probably Bear Grylls (when he’s not sleeping in hotels and keeping quiet about it). It’s fair to say that some phones classed as “rugged” aren’t, and let’s try and be kind, the most elegant looking smartphones in the world. By necessity, making what are frustratingly fragile devices into things that will actually survive being dropped from 6 inches onto a carpet of warm air and butterfly wings means certain compromises on style, especially where the actual body is concerned. Thankfully, the Kyocera DuraForce manages to buck the trend quite spectacularly. True, it’s a little thicker than most non-rugged phones, on account of being able to withstand all the things it can but, other than that, there’s nothing to indicate that it’s anything other than a regular, Android-driven smartphone of excellent quality. The screen is as clear, crisp and bright as an autumn morning in Vermont, the battery life is quite spectacular and it has all the connection options of even the highest of the high end smartphones. But How Rugged is “Rugged”? We touched upon this in the opening paragraph, but we’ll add this. You know all the stuff the military buys for use in places like Iraq and Afghanistan? This phone passes the same tests that are done on all that equipment. Okay, it doesn’t undergo some of the more extreme tests like being able to take a direct hit from a bullet from 50 yards, but it does all the ones that address the circumstances a smartphone is likely to encounter in use. 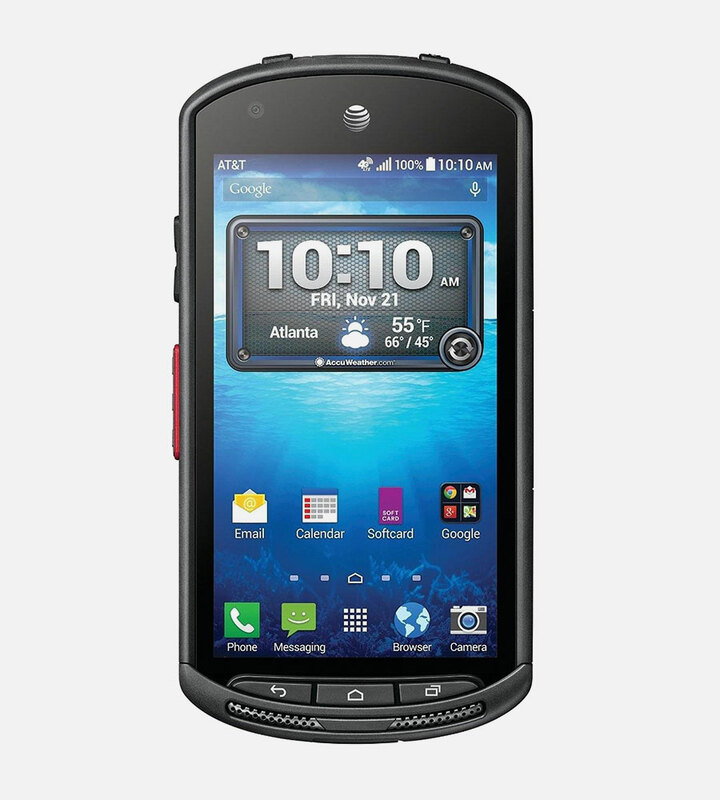 The Kyocera DuraForce is a force to be reckoned with. Q: Is this phone waterproof? A: Yes it is a waterproof device. Please ensure to close all the seals and that it doesn’t exceed 30 minutes underwater. Q: Is this device unlocked? A: Yes it is GSM unlocked. 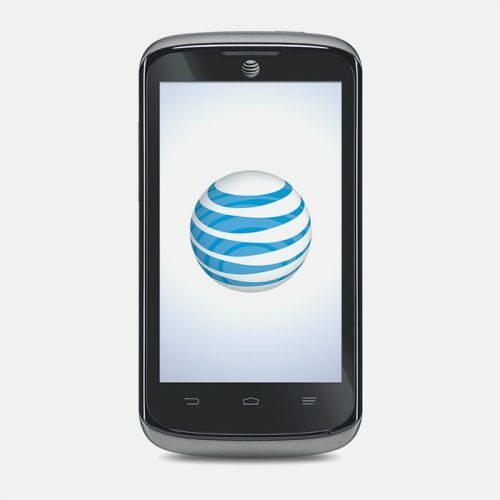 While it was built for AT&T, and it sports its logo, it will work on any carrier that uses GSM networks. That means AT&T, T-Mobile, Metro-PCS, Straight Talk and the like. Q: Does this phone work with Verizon? 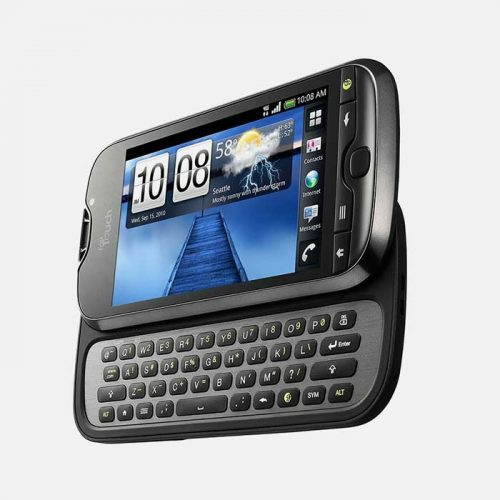 A: As it is a GSM unlocked device, it only works with GSM networks. Verizon and Sprint are CDMA networks and it will therefore NOT work on their networks. Q: What size SIM card is compatible with the DuraForce? A: The DuraForce uses a Nano SIM card size. There are 3 sizes to SIM cards, the largest which is called Standard, the middle is Micro and the smallest is Nano. Contact your network provider for the correct size SIM card. If you already have it and are switching phones, simply insert the SIM into the DuraForce and it will work. Q: How rugged is the DuraForce? A: This rugged device is great! It is IP68 certified as well as MIL-STD-810G compliant. That will protect it from dust and it is waterproof up to 1.5 meters deep for 30 minutes. It protects the device against salt, dust, humidity, rain, vibration, solar radiation, transport and it is thermal shock resistant. All this means that there is no reason to worry that it will get damaged from being well used, unlike most other devices. Q: Is there GPS on this device? A: Yes there is A-GPS, meaning that data is needed for it to work. 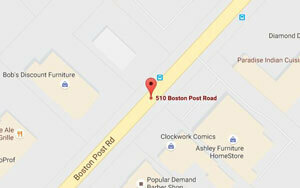 There is also a Google Maps app that comes with the phone. Q: What kind of camera does it have? A: It actually has two cameras, a primary and a secondary one. The primary one has 8 Megapixels as well as Autofocus and LED flash. It will detect facial recognition, include Geo-Tagging, HDR and panorama. The secondary camera is 2 Megapixels which is great for selfies. Of course, the cameras can also take videos at 1080p at 30 frames per second. Q: Does this phone work on 4G? A: Yes this is a smartphone that connects to 4G internet with a data phone plan. Q: Is this device compatible with Qi wireless charging? A: No, unfortunately the DuraForce does not have wireless charging capabilities. Q: Is there Bluetooth on the DuraForce? A: Yes you can connect to Bluetooth with smartphone device. You can use it to connect to Bluetooth devices, headsets or to speak hands free while in the car. That is, assuming that your car can connect to Bluetooth as well. Q: Can this phone connect via Wi-Fi? A: Being that this is a smartphone, it will easily connect to Wi-Fi. You can find this option in the settings. Wi-Fi is a great way to connect to the internet without using up data on your phone plan.